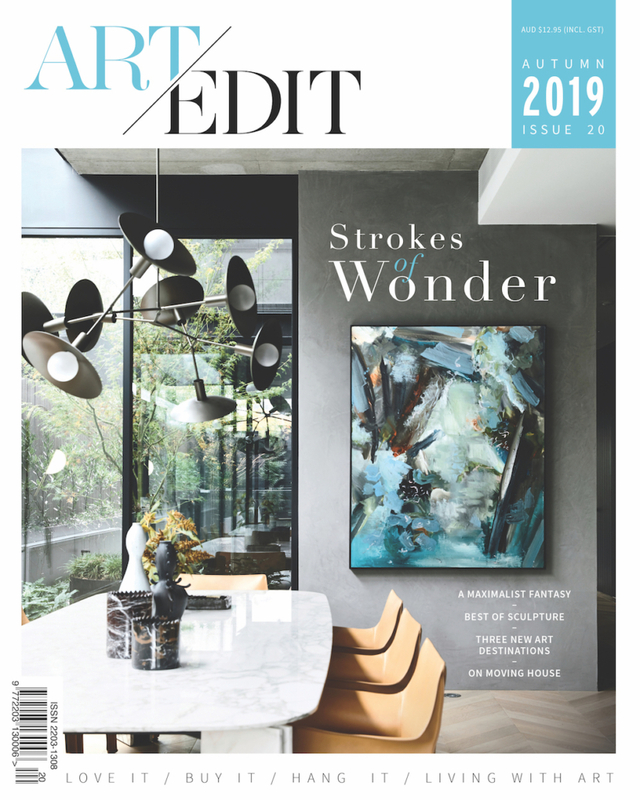 Art Edit is a magazine about living with art for interior designers, homeowners and art buyers. Art Edit is a valuable style guide for homeowners and interior designers alike looking to make the most of art in their homes and lives. Art Edit is sold in all good newsagents across Australia, as well as select specialty stores and galleries. Find your nearest stockist. The best way to make sure you never miss out on an issue is to subscribe and have Art Edit delivered straight to your door. You will also save up to 15% off the retail price. Art Edit magazine takes a clear editorial position on ethically sourcing Indigenous art. We advise our readers that while Indigenous art can be purchased from many outlets across Australia, the best way to ethically source a work is to purchase it from one of the many Indigenous-owned, community-based Art Centres across Australia, or from galleries that source their artwork from these Art Centres.